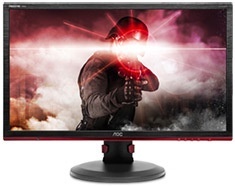 The AOC G2460PF monitor features a Full HD 1920 x 1080 resolution. The 24in display is a comfortably sized screen in the middle of the size spectrum. 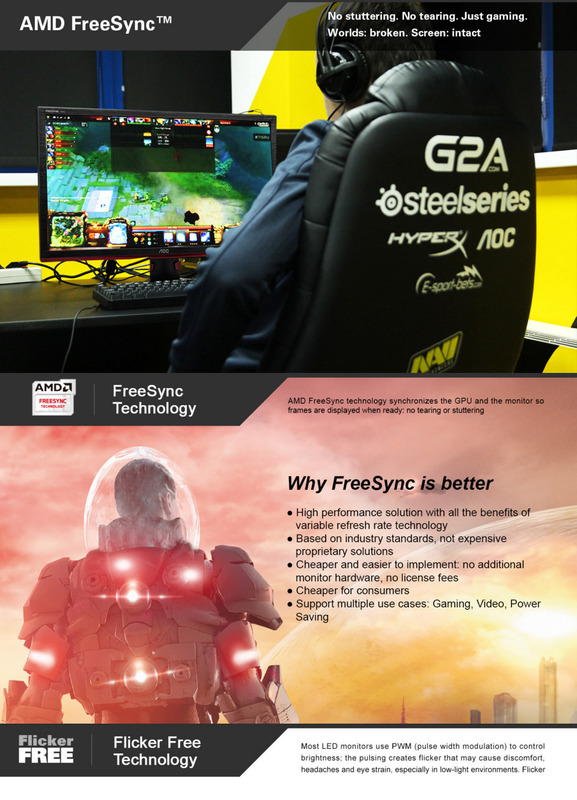 The monitor features a 144Hz refresh rate, and 1 ms GtG pixel response time for smooth rendering of graphics in motion. 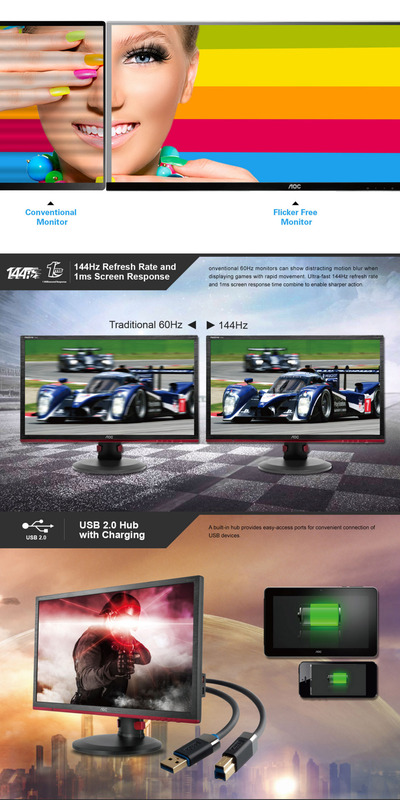 The G2460PF also features 4 USB 2.0 ports and height adjustment for added user convenience. Backed by a 3 year warranty.